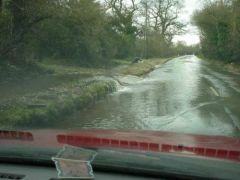 A stream overflowing on the way from Henley-on-Thames to Assendon. 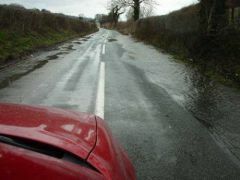 The country road from Henley to Assendon during the floods of early 2001. 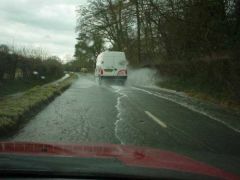 A white van drives through the flooding on the Assendon road. 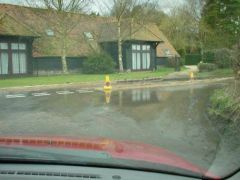 Flooding around residential property in Assendon village during early 2001. 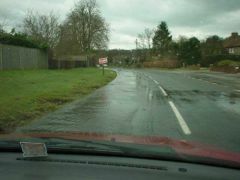 More flooding on to the Henley-on-Thames to Assendon village road during early 2001. 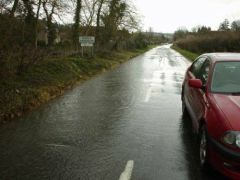 A 4x4 vehicle drives through the flooding on the way to Assendon. 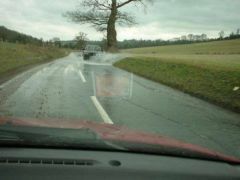 A stream overflowing on way to Assendon from Henley. 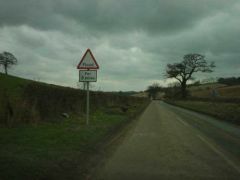 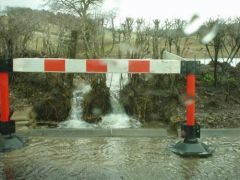 A sign erected to warn drivers of the heavy flooding on the way to Assendon village. 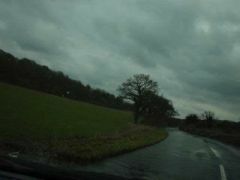 The country road from Henley-on-Thames to Assendon village during the floods of early 2001.